Giving thanks is among the noblest sentiments that one person can express to another person or indeed to their deity. And because of the depth of this emotion, it is also among the most difficult sentiments for composers to express through their music. Feelings that cannot be expressed in any other way have to be captured and placed into a body of music with great care so as not to sound insincere or overly sentimental. This is why many of the world’s finest composers and musicians have taken up the challenge of setting this noble emotion to music. 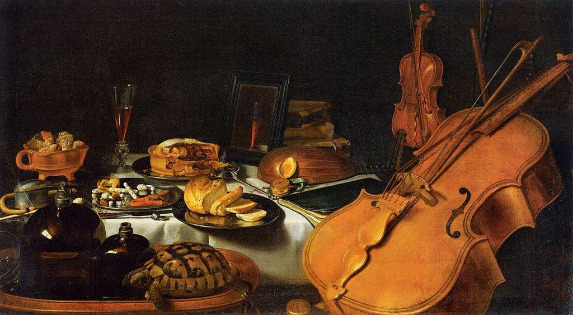 As we prepare for Thanksgivings, it behooves musicians to reflect back upon how certain masters have taken on the challenge of putting these emotions to music. Here are a few pieces that express feelings of gratitude as only an art form as pliable as music can do. Beethoven’s String Quartet No. 15, Op. 132 Adagio: This piece, which also comes under the title “A Sacred Hymn of Thanksgiving from a Convalescent to a Deity in the Lydian Mode,” was written by Beethoven in five movements during a period in which he fell gravely ill from intestinal distress. So moving is the piece that it has been said that it T. S. Eliot to write the Four Quartets. Ives’s Holiday Symphony: Also known as “A New England Holiday Symphony,” this work was composed by Charles Ives an American modernist composer who mixed church music with European art music. His Holiday Symphony was written in four parts: (I) Washington’s Birthday, (II.) Decoration Day, (III) The Fourth of July and (IV) Thanksgiving and Forefathers’ Day. Mendelssohn: Elijah, Op.70, MWV A25 / Part 1 – “Thanks be to God”: Much of the music that expresses gratitude and expresses thanks is spiritual and among these pieces are some of the most beautiful melodies every written. This work by Felix Mendelssohn premiered in 1846 at the Birmingham Triennial Musical Festival and has been popular ever since. Monteverdi’s Mass for Thanksgiving: This piece was written to show gratitude for the end of the plague in the Italian town of Venice. At our Miami music school, we help students to develop the skills they need to express themselves through music. We also teach them to appreciate how past generations captured and put to music the most complex of human emotions and experiences. Our staff is comprised of experienced teachers who hold Master’s and Doctoral Degrees in Music and who have a wide knowledge of all forms of musical expression.